Douangpi works at the Khamchalearn village malaria clinic in Champasak Province, southern Laos. He supports some of the most marginalised and high-risk populations, including ethnic minority groups, mobile and migrant workers and forest settlers who are often most at risk of contracting malaria. Douangpi with fellow Health Poverty Action staff in his house that also serves as the malaria clinic. 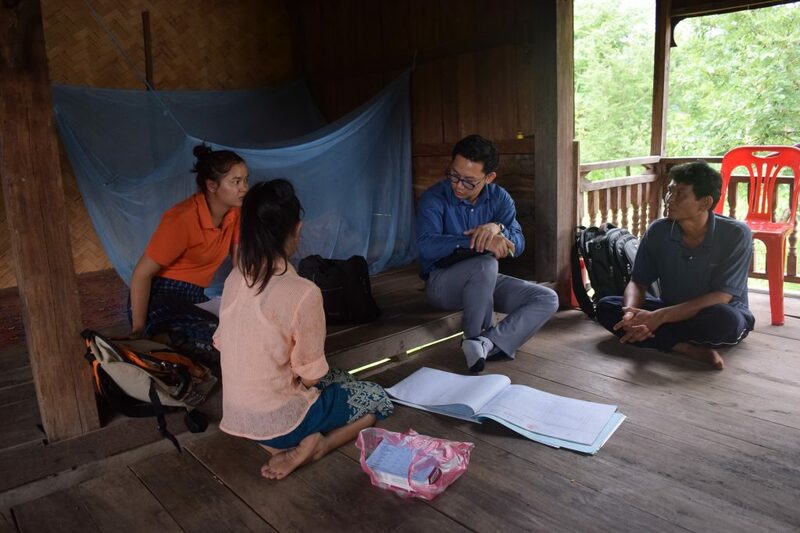 Malaria is a serious problem across southern Laos, accounting for 95% of reported cases in the country. It can be life-threatening if left untreated. Preventative measures, rapid diagnosis and targeted treatment are essential in tackling the disease, however, health facilities are frequently understaffed and inaccessible to many rural communities. Since Health Poverty Action introduced the clinics, more and more members of the community are seeking the treatment they need. Malaria clinics make my job more professional and official, and people are more likely to trust me and believe that the services we provide to treat malaria are reliable and effective…They trust me because I have worked with them for so long. These relationships are important to maintain so that they feel comfortable seeking my help. 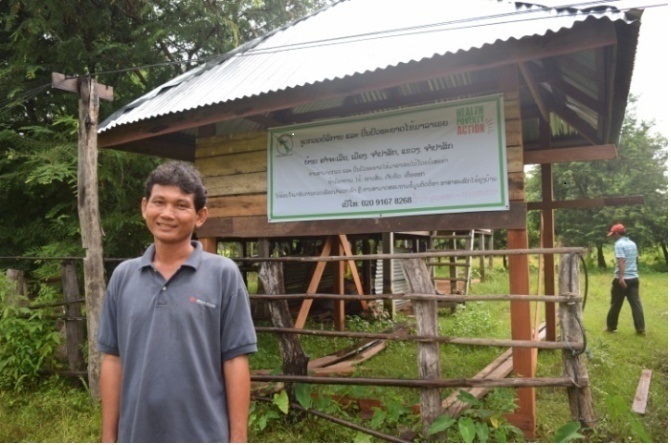 Douangpi stands in front of an awareness sign, which gives malaria information in a selection of local languages. 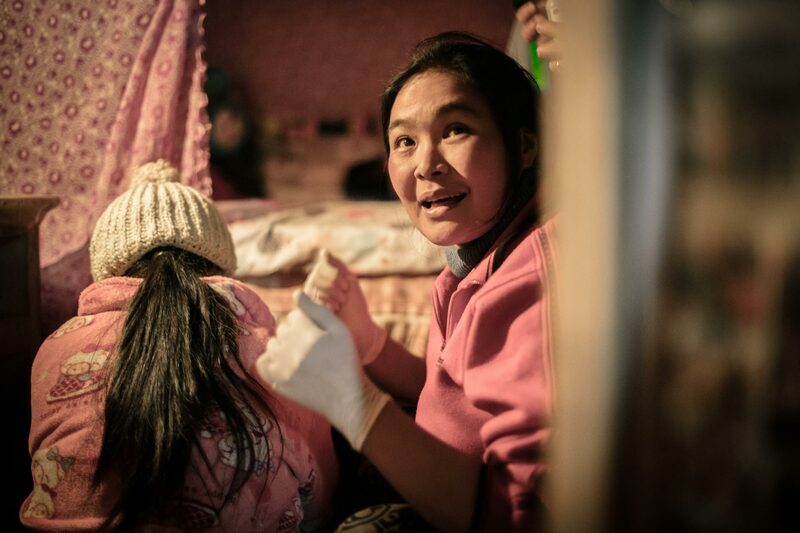 Alongside health workers like Douangpi, Health Poverty Action is working locally to implement simple solutions such as strategically located signboards that educate about the spread of malaria, as well as the early warning signs, in four languages. Together we are ensuring that long-term, sustainable solutions are put in place by providing local health workers with the skills and equipment needed to test and treat malaria.